Established over twenty years ago, UK based Mesh offers a range of laptops, from affordable entry-level systems to high-powered gaming machines. Its Edge DX is a quad-core powerhouse and the first laptop to offer full support for DirectX 11 graphics. While DirectX 11 has been available for some time and is built into Windows 7, there has been no hardware support for laptops until now. By using ATi's Mobility Radeon 5650 graphics card, the Edge DX is able to take full advantage of the APIs for improved graphics performance. When compared to ATi's previous 4650 GPU, our graphics tests revealed around 15 per cent more power on offer. Games run smoother and faster than before and HD video-editing tasks are equally enhanced, making this a highly capable gaming and multimedia machine. As well as such powerful graphics, Mesh has fitted Intel's latest Core i7 quad-core processor alongside 4096MB of DDR3 memory. The result is stunning levels of power for frequent and demanding multi-tasking, making this is one of the most powerful laptops you can currently buy. This is all the more impressive when you consider the comparatively portable 2.8kg chassis. While the 148-minute battery life falls far below the three-hour minimum we expect, this machine is more than portable enough to comfortably carry between gaming LAN parties. The impressive build quality on offer adds to this, with strong plastics and firm panels in evidence throughout. Despite housing such powerful components, a highly effective cooling system is in place, allowing the chassis to remain at a consistently comfortable temperature. The glossy silver and black colour scheme provides a subtle yet effective style, somewhat resembling HP's consumer Pavilion range. 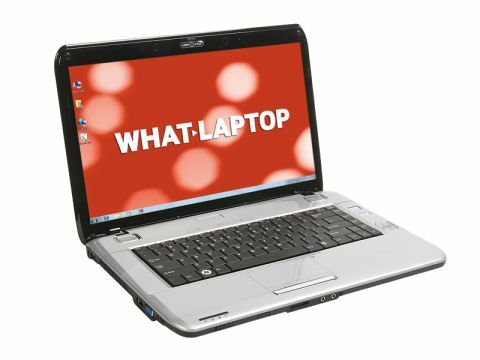 Where this machine further excels is its impressively bright and sharp 15.6-inch screen. Offering a Full HD resolution and vibrant colour reproduction, movies and games look fantastic. Even the glossy Super-TFT coating impresses, with reflections kept to a minimum. Usability is also excellent, with the keyboard proving accurate and responsive. The keys move quietly and firmly, and the wide touchpad and mouse buttons allow easy control of onscreen actions. A fingerprint scanner is also in place for safeguarding your valuable data. Although this isn't the most powerful gaming laptop we've seen, it is certainly very capable, and the inclusion of full DirectX11 GPU support makes it all the more appealing for gamers and ardent multimedia fans.